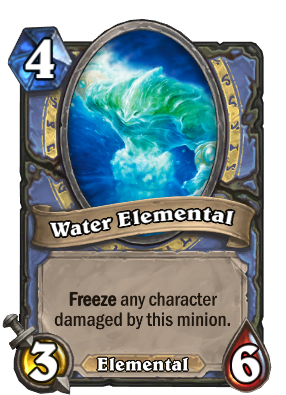 Does this gain an Elemental tribe tag in the Un'Goro expansion? Love this basic minion...I add him to nearly every Mage deck. Also, just earned my first golden one...on to earning my second! Next up...Flamestrike! Definitely one of the best, if not the best, Basic Minion. It's just so powerful against weapons-using class. 4 attack would be ridiculous against the Priests though. Great value for 4 mana without being overpowered. This thing fits into almost every Mage deck. is this card still in game?? i can't find it in my collection.. even in the creation section..